Welcome to the REO division of Wendy Morris Realty located in Windermere, Florida. 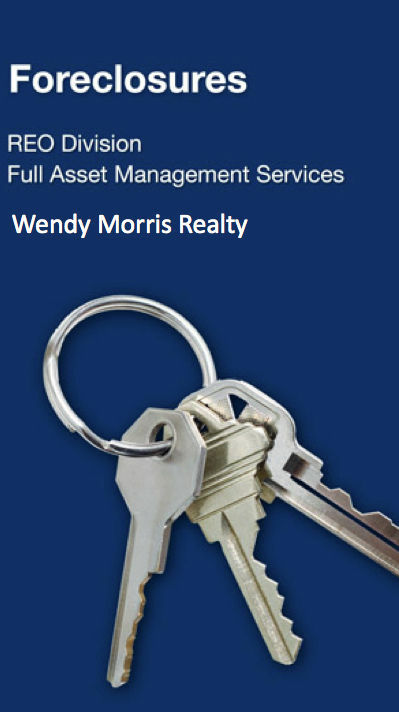 Wendy Morris Realty is a full service real estate brokerage company that services Central Florida and surrounding areas. The REO division is a member of the Wendy Morris Realty family of companies and a subsidiary of Wendy Morris LLC. We have been assisting Florida customers with their real estate needs since 2001, using personalized traditions of service and building global connections. The REO Division is a leader in the industry and utilizes the national strength and full resources, stability and integrity of Wendy Morris Realty. We are based in Windermere Florida and work with many institutions throughout the US with the managing and marketing of their assets and portfolios. We provide BPO’s service for several top major Vendors. As a full service Florida asset management division, our services include eviction, cash for keys, and marketing, managing and selling foreclosed properties for banks, mortgage companies, financial institutions, investors and asset managers. Contact Wendy Morris today! At Wendy Morris Realty, our highly trained and experienced team of Central Florida professionals are committed to excellence and customer satisfaction. The REO Division of Wendy Morris Realty is committed to providing you with the most rewarding service possible in managing and marketing your Florida properties. Because our only focus is REO, you can count on our expert management of your asset, from initial assignment through closing, with a time sensitive manner of professionalism. Our traditions of customer satisfaction, results oriented success and expertise will earn your confidence and business. Agent assignment is based on familiarity of area and in close proximity of your property. Our company provides advertising, direct mail, signage and promotion of your property.